You'll be hard-pressed to find discussions about Final Fantasy XV outside of its dedicated communities. 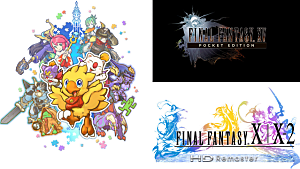 I'm still trying to figure out whether history will be kinder to XV or Final Fantasy XIII. Both have essentially been shunned from the community. 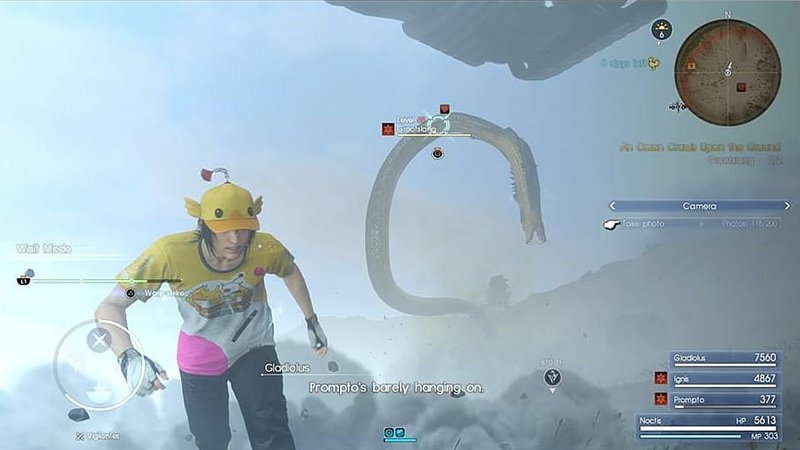 It's understandable why the Final Fantasy community at large didn't like Final Fantasy XIII, considering the sheer amount of cliches packed into its story and the linearity of it all. It's also understandable why the community doesn't like Final Fantasy XV. It's a game doomed to never be complete, with the plot and overall gameplay flow forever disjointed. 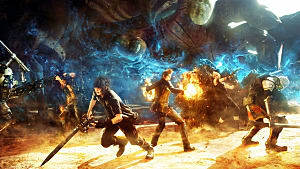 It's a shame that Final Fantasy XV's release state is what has been ingrained into gaming's collective memory, but the fault lies firmly on Square Enix's shoulders — the first and only mainline Final Fantasy release of this generation, and it got pushed to market only partially complete. These three things barely even scratch the surface. Worst minigame in the series right here. 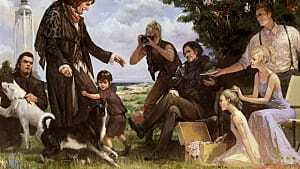 Despite all its faults, I've come to love Final Fantasy XV for what it is. 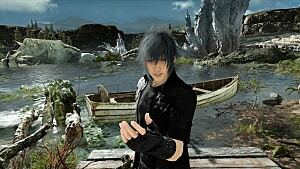 Noctis might jump instead of interact with things when I press the interact button. or he might try to warp strike at walls rather than enemies when walking down stairways, but the game has endeared to me in ways that are outside of my usual preferences. I can respect why so many don't like the game, but I don't think its release version should be what people base their opinions off. XV is a flawed game from start to finish, but even flawed games can be a great time. As a player, you go into a Final Fantasy game expecting certain things. Most of those things are, regrettably, not present in FFXV. The world of the game is not particularly interesting, and there are barely any subplots for you to delve into or get invested in. It's a shame considering the game shoves it at the player in condensed bursts; if you're taking your time with the game, as you should, chances are you'll barely remember what happened in the last set of story quests by the time you get to the next. Story issues aside, and despite some of the fantastical monsters and demons you have to fell during your time with the game, the setting is completely drab. Driving around is sort of akin to driving around the Midwestern U.S. It's a whole lot of nothing. Bush, bush, tree, tree, abandoned shed, bush, rest stop with nothing to do, more trees, bush. By no means does Final Fantasy XV feel like a Final Fantasy game. 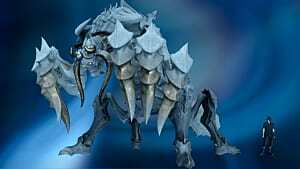 I don't care if you have to kill Coeurls or Cactuars, or that you get to summon Primals. Aside from its melodramatic story and a few familiar enemies, thematically, the game could not be further from the rest of the series. 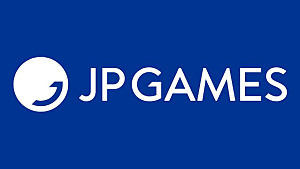 If you separate it from the very series it pulls its name from, the game gets easier to accept. Even if you just rationalize it as being a spin-off, it's easier to look at it from an objective standpoint. It shouldn't be this way, but it is. Final Fantasy XV's troubled development is well-documented elsewhere, there's no reason to go into it here. All that matters now is the outcome: Square Enix's dedication to the Luminous Studio engine buried a mainline entry in its flagship series. 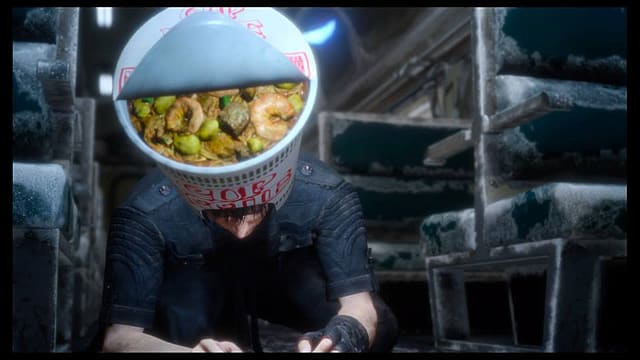 There's still plenty of fun to be had in FFXV, though. While it may not fit the rest of the series, I've still spent over 150 hours in a single playthrough and 50 in another, and those hours aren't over yet. One might not say that FFXV is a different game from what it was on release day back in 2016, but it's certainly a vastly improved one. These don't seem like huge changes, but they are more than welcome as a player. To me, FFXV is a unique experience. 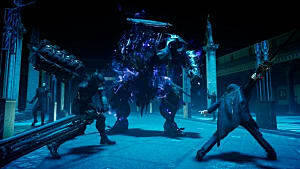 Not because it's all that great, but because it does such an admirable job of endearing you to Noctis and his retinue while giving you the option to play the way you want. There is nothing in the game that demands you rush through the story (except for that short period the Regalia is taken away), and there's nothing in the game demanding you do any of the side content either. 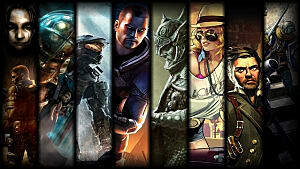 You can choose to ignore one or many aspects of the game to suit how you want to experience it. 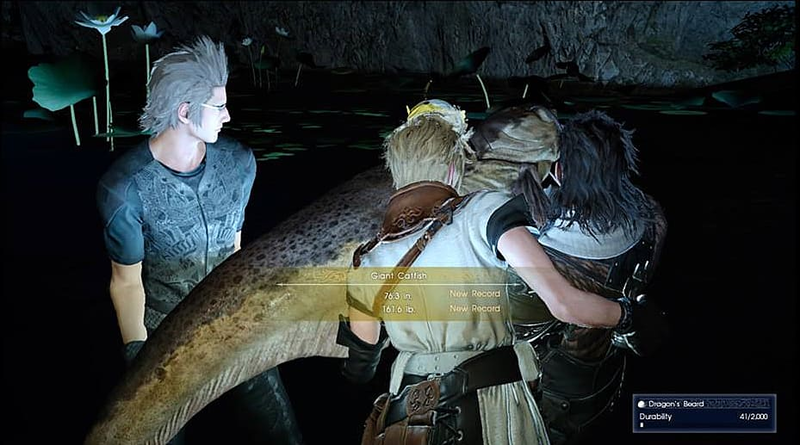 Just taking it easy can be very appealing to some — if you're into fishing titles or just fishing minigames, you'll be hard-pressed to find a game that has better looking fish than the ones Final Fantasy XV hosts. The fishing minigame itself is also challenging, especially once you've decided you want to catch them all. The ability to manually control the Royal Vessel and do some intensive saltwater fishing is a nice touch added with the Royal Edition of the game, though exploring on the Royal Vessel is one of the least interesting portions of the game. That's really saying something. Aside from fishing, some players who take the relaxed approach also enjoy seeking out opportunities to take unique photos. Seeking out photo ops is one aspect I'm a little ashamed to enjoy because I'm generally not the type to take many screenshots. However, I have hundreds of pictures of my time in FFXV, between pictures taken manually or automatically in-game, or just by mashing the Share button on the PS4. I just can't help myself. Some players who take this route are in it for the food renders, because who wouldn't be? 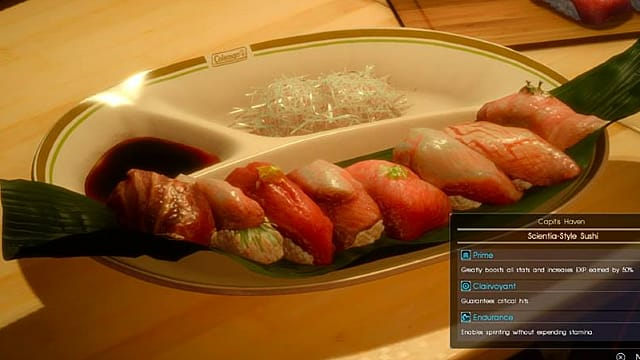 Recipes are obtained by either getting their ingredients or having a new dish at a restaurant, after which Ignis will think of a new "recipeh." It's a minor aspect to the game, but it's one of the many small details that make it so endearing. A Level 1 playthrough is viable in Final Fantasy XV, and it's not even that hard to do thanks to the whole food system. All you have to do is not let anyone ever go to sleep, and equip the Nixperience band in the one end-story instance you're forced to. I don't think anyone's going to contest that FFXV is an easy game, especially anyone who decided to do hunts as they were available and happened to get overleveled just playing the way it seems it's meant to be played. 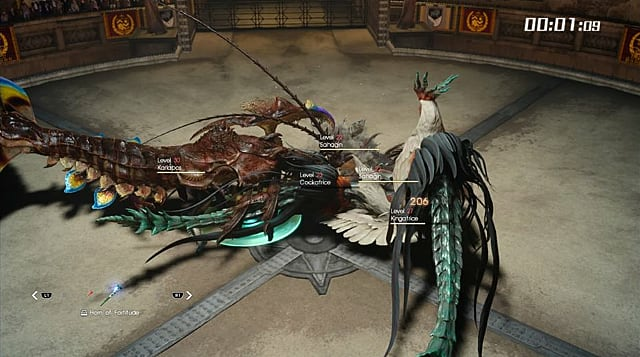 A Level 1 playthrough entails using food buffs you can get from restaurants to boost the party's stats so they are able to stand tall against enemies of any level. It requires you actually know how your weapons work. Each weapon type has its own unique set of attacks that, if you're a mindful and skilled player, you can chain together for a combination of damage and safety. How weapons combo isn't something most get into too much with a regular playthrough because the whole thing is a cake walk. Someone may dip their toes into actually trying once they have to deal with the Menace dungeons after completing the story, but otherwise, most players just choose weapons that deal good damage and don't eat half their health in a single warp strike combo like the Trident of the Oracle does. Anyone can start a Level 1 playthrough out of the box, though you have to download the free Holiday Pack DLC to get your hands on the Nixperience band on console. PC players should have it by default. Testing and putting good use to weapon combinations is satisfying in a level one playthrough in a way that's just not possible in a standard one. You don't get to see any of Ignis's wonderful dishes when taking on this task, which is a huge shame. I'm just going to put it out there that I'm not the most story-oriented gamer. A great story can go a long way, but I can probably list all the games I feel have that killer combo of writing and story between all 10 of my stubby fingers. Final Fantasy XV isn't one of them. What FFXV does have going for it is its characterization. It does a wonderful job of endearing the player to all or most of the group in ways that don't feel unnatural outside of a particular segment near the end, which it ultimately makes up for with the actual end of the game. It's hard not to care for Noctis and his rag-tag group of bodyguards, even if you have a most- and least-favorite. I won't say I cared for any of the characters all that much in a story sense until the end of the game, but I cared about them as in-game friends. The occasional banter between the boys is a nice touch. Even if you have to hear the same lines tossed between them time and time again, every once in a while there's a total surprise that you can't help but chuckle at. I've put a lot of time into this game, and if YouTube is any indication, there are still voice lines I haven't heard in-game. The game's ending and post-credits scene is where it finally gut punches you and, whether you cared for the characters or not, it does a fantastic job of turning a fair portion of players into a blubbering mess. I felt sort of emotionally manipulated at the end of FFXV because, despite playing it through and doing all the current DLC, I honestly did not care about the story. I cared about the party, which sees some real tribulations before the final fight, but I did not care about the story. I got to the end 86 hours on my first playthrough, messed around most of those hours, and got sucked into the end of this plot I didn't have a single care about until the last 27 minutes of cutscenes in the game. They were a very difficult 27 minutes for my tear ducts. I might be a bit of a Final Fantasy XV fangirl. I do admit that. FFXV is one of my favorite games of this generation, and I fully believe even a large portion that tossed the game aside at launch for its faults could enjoy it with the right mindset. If I, someone who regularly decries the state of modern gaming, can enjoy FFXV for all its faults, surely those with more than a single Final Fantasy under their belt can find enjoyment in Square Enix's quarter-finished flagship. The Episode Ardyn DLC is set to be released soon as the game's dying breath. Its two other scheduled DLC packs for this year have been canceled, along with Square Enix's plans to release a level editor. As of March 29, Final Fantasy XV may be put to rest. How Square Enix has treated FFXV from the start of its development in the 2000s all the way to today has been nothing short of a disaster. The game does deserve to be singled out among the rest of the series as an example of what not to do because it released in a state little better than a beta and has not remotely received the post-release support that was promised. Final Fantasy XV is a flawed game that veers so far off from the very series it's meant to represent that it's barely recognizable as an entry to the Final Fantasy series. Nonetheless, one might say it's a diamond in the rough; while it tosses aside tradition, it does try new things that could have been fleshed out into something wonderful if the developers had finished it. Instead of playing it like a Final Fantasy game, you have to play FFXV as the game it actually is: a buggy and technical mess that does its best, and asks that you be a bit creative to find your fun outside of rushing through story quests and bawling at cutscenes. 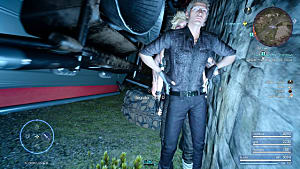 I wish the series got something different for its big fifteen because it did deserve something better, but Final Fantasy XV is still a worthwhile play for what it is. The game is neither what I nor the FF community at large wanted it to be, but with the right mindset it can be an enjoyable experience over an exceptionally long playthrough. If that's what you want, anyway. I personally play it as a loyal Nissin employee seeking the freshest seafood for our next line of Cup Noodles. 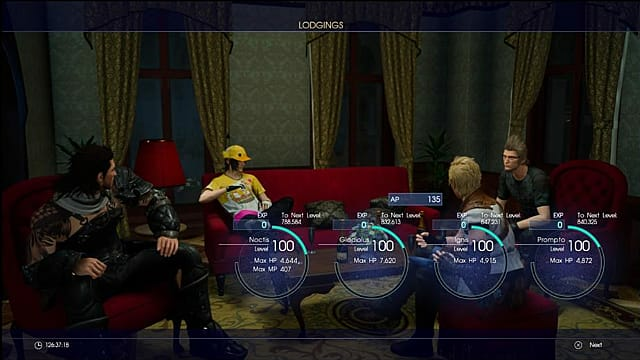 Noctis is the perfect host for this task, as you can see.